Originated in ancient China and made popular by fishermen in New Zealand, kite fishing in the clear blue waters of the Florida Keys has gained in popularity in recent years. Using a kite as a kind of extended outrigger, the live bait is presented to the fish from a kite flying 40 to 100 yards aft of the boat, depending on how many fishing lines are attached to the kite. Live bait suspended just below the ocean surface includes pilchard, ballyhoo, goggle-eye and mackerel. 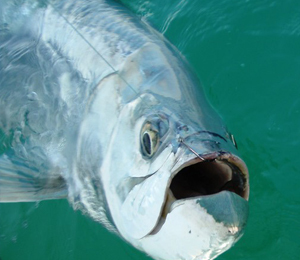 When game fish strike, a clip releases the active line and the fight is on. Kite rods are shorter than normal deep sea fishing rigs, making the thrill of bringing in a sailfish, wahoo or tuna when kite fishing even more fun. Some boats run up to six fishing lines at a time, so a large party of deep sea fishermen can enjoy this form of fishing. Breezy conditions are required, of course, but the prevailing winds off Key West seldom fail to keep the kites aloft – and the fish in the boat. 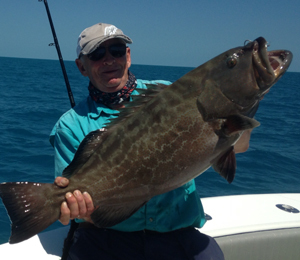 Key West fishing has never been better. Big billfish, wahoo, tuna, kingfish, cobia and dorado feed at the surface, so the kite fishing method has proven to be an excellent way to put the bait right where the fish are feeding. 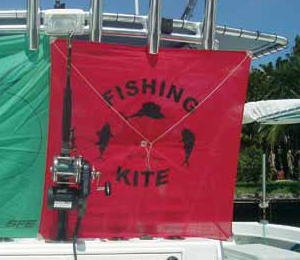 Sport fishing professionals who have mastered the techniques of kite fishing know that their charter clients will have the best chances of bagging a trophy fish in the honey holes around Key West. Kite fishing is uniquely exciting because it is possible to watch the game fish strike the bait as it is dangled at the surface of the water. As with any other form of fishing, success depends on being in the right place. Fishermen know Key West fishing is ideal for sailfish, marlin, and swordfish from October to April, but charter boats bring in nice catches of amberjack, dorado, wahoo, sharks and other species year round. Kite fishing rigs bring in the best hauls out along the edge of the blue water, where the deep blue offshore water meets the turquoise inshore water. The waters along the Marquesas reef line, where rip currents are strong, is a preferred Key West fishing territory. The reef line averages a depth of about 20 feet with inner patch reefs in more shallow water and outer deep reefs at depths up to a hundred feet or more. The reef line is protected and new and ancient coral formations are home to over 200 species of fish. Kites also work very well around any submerged structures, whether man-made (wrecks or artificial reefs) or natural reefs. If the fish are there, a kite is a great way to put live bait in front of them. The area between Key West and the Dry Tortugas is littered with shipwrecks, and natural reefs. Some wrecks have been there for centuries, and some are recent. 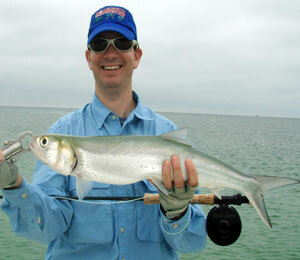 All of them attract game fish - great sport fishing grounds and excellent kite fishing territory.